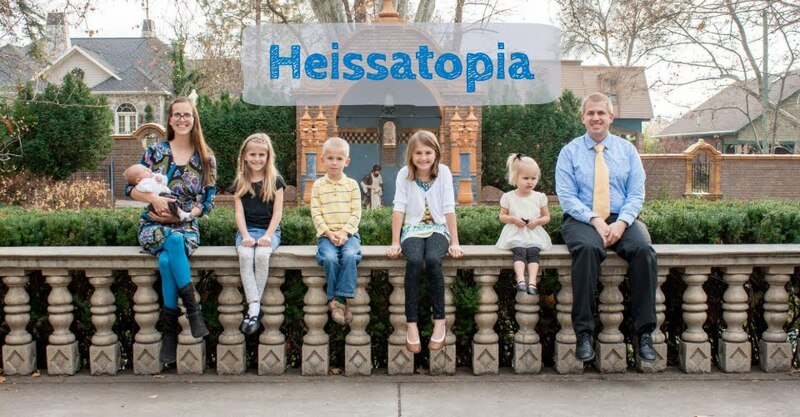 Heissatopia: A few glitches...but we're moving! My friend Laura took the kids on Monday again. Andrew and I worked all day; we took all the beds apart and packed up all (or much of) the miscellany left around the house. It was nice to know the kids were happy and well-cared for while we did all of that. I picked the kids up shortly before dinnertime (not that we’d end up having dinner until much, much later) and we started scrambling to get things prepared to load the moving truck since the Elder’s Quorum was due to arrive quite soon. Benjamin mentioned something about his tummy not feeling right, so I gave him a little sympathy but then continued with whatever I had been doing. Unfortunately his complaint had been very, very genuine. Minutes later I found myself cleaning up a puddle of vomit from the middle of the hallway and drawing a bath for my poor little boy. As bad as I felt for him, I also felt bad for us—having a child come down with a stomach bug on moving day is simply not ideal. “Can I have a throw up bowl?” he asked me. “We have no throw up bowls? !” he wailed. We had no throw up bowls available, but I did have an empty bin (like a big Tupperware that we use to store sets of toys) on hand, which was…fine. He actually perked up quite a bit after his bath and was happy to run around with all the many children who showed up with their fathers to help load the truck. Ordinarily, I would have felt badly about this but we had so much chaos going on that I didn’t have any energy left over to put an end to his mingling with others. Andrew had begun taking things out of the house before the EQ arrived, which he probably shouldn’t have done because we had fifteen men* show up to help (along with about fifteen children) and they cleared out the house fast. Loading took a while longer, but I don’t know when I’ve seen a house empty that quickly before. Anyway, he’d been using our dolly (which apparently is better known as a “hand truck” but who even knew that? I certainly did not) to move a filing cabinet and the wheel off snapped off. So he left to go find another dolly/hand truck while I stayed behind to direct traffic, once the traffic began arriving. He was just about to walk into Lowe’s when Brother Brown called to say Andrew could just borrow one from him. So Andrew went to Brother Brown’s. Meanwhile, I was trying to tell people what to move where and when while also trying to get the kids to play in the backyard. I didn’t pull off either of those tasks very well and Andrew returned to a house of utter chaos. Imagine thirty people milling around a 1100 square foot home. It was “deseret” in action, but I was failing at being queen bee. Still, the worker bees were doing a phenomenal job at getting things done while the larvae went completely feral and had a full on water fight using water from the fridge (something I was not happy about and tried to put an end to multiple times—but apparently I’m no match for fifteen children 10 and under). At least they kept the water mostly outside. Still, our kids got a lecture about producing unnecessary laundry on moving day and filling our home with mud. Benjamin was keeping up with the craziness just fine. He was thoroughly invested in the water flight, running around with the best of them. Perhaps his stomach problems were just nerves? Or maybe just a bout of food poisoning? Surely it wasn’t a virus because this kid was not acting sick. We got the truck mostly loaded, tetrising in all of our belongings except for a few mattresses and all the stuff floating around that had failed to yet make it into any sort of keep or discard pile. It would have taken us hours and hours to do it on our own (especially since I’m not lifting much these days so it really would have been Andrew doing it on his own) but with the help of the good men in our ward we got it done in about two hours. After feeding everyone popsicles (clean out the freezer!) people slowly said their goodbyes and filtered away, leaving us alone with our empty house. We were feeding the kids dinner by 9:00—one last Cook Out run. Benjamin ate dinner but then started complaining of having a hurt tummy again. He kept running to the bathroom but, in his words, “the throw up [was] stuck.” It just wouldn’t come out. “Maybe you only needed to throw up that one time and now you’re just nervous about throwing up so it feels like you need to,” I suggested. Shortly after making this announcement, he did manage to throw up in the toilet. We set all the kids up in the same room. Benjamin had his special throw up container beside him and eventually they all fell asleep, though getting them there was a bit of a circus. Andrew and I continued working around the house but soon our work was interrupted with Benjamin crying out for help. He’d woken himself up vomiting and had gotten it all over the floor and himself and his little mat. Fortunately, everything cleaned up fairly easily (Andrew did the dirty work this time) and we got Benjamin back into bed (shirtless this time) and started yet another load of laundry. Benjamin threw up one other time, but this time he managed to fill his container instead of getting it all over the place. Zoë had been keeping Rachel up and was having so much trouble going to sleep that we didn’t really get her to sleep until 2 AM. Even then she came to find me by 3:00 and then stayed awake fussing and tossing and turning until around 5:00. It was brutal, but eventually she settled down next to me on our little twin mattress (Andrew took the couch, which we’re leaving behind). When I got up in the morning (around 9:00), Andrew was already up working. The kids slowly joined us and before we could even get breakfast in them the girls across the street asked if they could play, so Rachel and Miriam ran off together. I did my best to make Benjamin stay home, but since Andrew and I were doing last minute loading in the truck (trying to get all those mattresses in there) it was hard to keep him from socializing. He insisted he felt better. Zoë, naturally, was going around being beastly to everyone on account of she stayed up all night. The kids spent most of the day playing with the girls, which was a great way to spend our last day in Durham. Benjamin didn’t throw up the whole day. He ate, he played, he was fine. By mid-afternoon we had absolutely everything designated as truck, toss, or travel-worthy. We’d crammed all the travel things into the van, we’d crammed all the toss items into our garbage can (and a neighbor’s (with permission, of course), we’d finished stuffing every nook and cranny of 14 feet of the trailer, and we were busy tying everything down. We were going to make our 3:00 departure goal. Rachel and Miriam were still across the street. Benjamin and Zoë were wandering in and out of the house and playing in the yard. Andrew left me, tying things up (my fingers are small enough to fit in the little rope holes so I finally felt useful after a long time of feeling pretty useless), while he ran to the house to grab something. As he was jogging up to the house, Benjamin came out of the house, slamming the door behind him (which is highly unusual behavior for my children who are notorious for leaving the door open). Andrew grabbed the doorknob and twisted. It didn’t budge. The door was locked. He ran back to the truck. “You don’t happen to have keys to the house on you?” he asked. And so, we found ourselves locked out of the house. We have managed to go a full five years without getting locked out of our house. I guess Benjamin felt we simply couldn’t leave without having that experience. Fortunately, when the Browns had stopped by with travel treats for the kids, I had given them a key to the house. I’d been planning on getting a key to them on Wednesday but I figured since they were there I may as well give them a key. I’m so glad I did! It was, as Brother Brown said, rather fortuitous. Andrew texted Brother Brown, who said that he was home but that his wife had the key and she was at her mother’s house (which is outside of Durham somewhere). So he had her drive the key over to him and then he brought the key over to us and the whole thing took about an hour and was a little ridiculous. The Riches stopped by to grab a few things and Brother Rich tried to jimmy the lock to no avail. He’d done it before and figured that as long as the deadbolt wasn’t on we’d be in in no time. But our front lock is finicky. So he tried the back door and was able to pop the bottom lock on that door…but the back door was dead-bolted so we were still out of luck! We had a nice visit in the hot, hot sun while we waited for our rescue, however. We were quite relieved when Brother Brown showed up with the key. He has saved our bacon numerous times over the last five years! We gathered up the last of the things from inside the house—my cell phone, for one—and said our goodbyes and got the kids all loaded into the car and were on our way. Just like that! Zoë was excited to be wearing her “underwear diapers” (the Riches ran out to get us a package of pull-ups, which they said would be easier than diapers at gas station stops and such (and which, hopefully, she’ll continue to treat as underwear but which will contain the mess if she has an accident). Miriam and Rachel were all set with their books and snacks. Benjamin was all set with his new and improved throw up bucket. We knew the big Tupperware container wouldn’t work for the car—too open, too sloshy, too uncontainable (even with the lid)—but we’d found a little pitcher that we hadn’t packed. Unfortunately, it had no lid. I have been on long car rides while suffering through stomach ailments. I have been on long car rides while others have been suffering through stomach ailments. Neither is fun. But both left me with very vivid memories, on the one hand of throwing up into a bucket myself, and on the other hand of sitting in the middle seat and passing the throw up bucket to whichever seat companion needed it next (not the funnest job; I’d much rather feed a baby lip balm or something like that). A bucket—with a lid—is a necessity under such situations, my mom advised. But we had no worthy bucket/lid combination, so we made do with what we had on hand. This turned out to be a brilliant idea. After loading everyone into the car—about forty-five minutes behind schedule (3:45), thanks to Benjamin locking us out of the house—they dropped me off at a friend’s house, where I’ll be crashing for the next couple of days. At 4:15 Andrew sent me a text message to inform me that Benjamin had tested out the throw up bucket and it was genius. All they had to do was zip up the liner and replace it with a new one—no lingering smell or anything. Easy, peasy. Here’s hoping Benjamin gets over this thing soon…and that no one else catches it! * What better way to celebrate Pioneer Day (July 24, 1847 was the day the pioneers reached the Salt Lake Valley) and FHE (Family Home Evening) than by showing up (with your kids) and packing a modern day covered wagon? We are so, so grateful for everyone who stopped by. Thanks for your muscles, your friendly chatter, and your spirit! We're really going to miss this ward! That throw-up container solution is genius! I would prefer feeding someone lip balm to throw-up duty any day, too!